If your child is starting geometry, they have probably been introduced to a lot of cool shapes like triangles, circles, and rectangles. Another important shape for your child to learn about is the pentagon, which is a polygon with 5 sides. To learn more about pentagons and their properties, scroll to the bottom of the page or check out some of our resources. 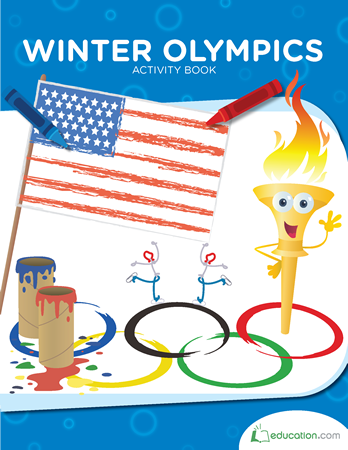 Here's a fun way to practise shape identification! Use your knowledge of plane figures to colour in this picture. 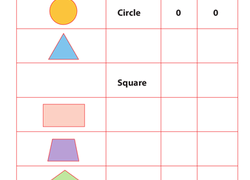 Deconstruct shapes with this fill-in chart of 2D shapes. 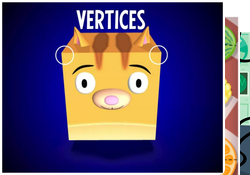 Kids will practise identifying edges and vertices of simple shapes. Give your students an opportunity to practise identifying and differentiating pentagons from other 2-D shapes with this fun geometry activity. Looking for a fun maths worksheet? This multi-step printable challenges your child to match shapes to their description to crack a secret code! In this year 4 geometry worksheet, your child will practise identifying this five-sided polygon as he colors in all the pentagons on the page. Can your students differentiate between a pentagon and a hexagon or circle? Can they explain what makes these shapes unique? 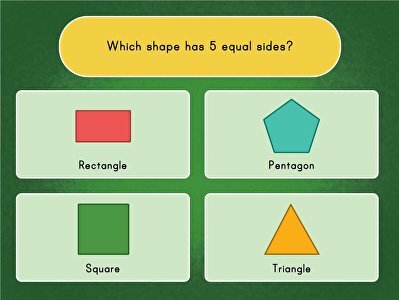 This resource will give your students practise identifying the characteristics of a pentagon and comparing it to other 2-D shapes. 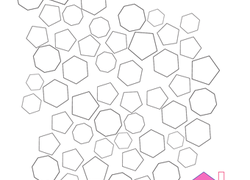 Pentagons are easy to spot—if you know what to look for! Help your students develop an understanding of this five-sided polygon and practise 2-D shape identification with this great geometry resource! Your students will love getting a chance to use their creativity as they review the properties of regular and irregular pentagons while creating their own unique piece of art. Pentagons make for perfect houses! 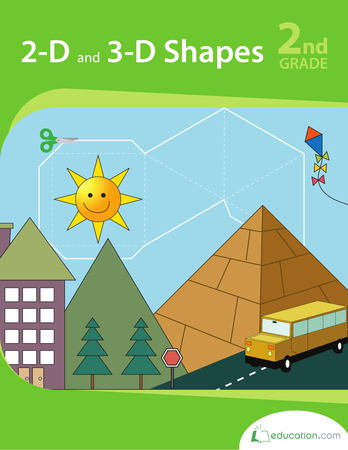 Help students to identify and develop an understanding of this 2-D shape with this fun activity. Students will sort out the pentagons from other shapes and then turn them into houses. Pentagons can turn into many things! Use this worksheet to help your students practise drawing pentagons by connecting the dots. Then let their imaginations run wild to bring their pentagons to life! Pentagons can be a lot of fun to work with, but how will your child be able to recognise which shapes are pentagons? We’ve put together some properties of a pentagon below so that you can help your child familiarize themselves with this cool 5 sided shape. With our pentagon property cheat sheet, your child will be a master at working with and recognizing pentagons! After they have explored the different exercises on this page, step over to our Hexagons pageTo make things a little more challenging with this 6-sided shape.